Jesus on the Road to Emmaus is an account that, at first, is difficult to match to the idea of a Sabbath resurrection after a Friday crucifixion. Some claim that Cleopas and his companion could not have been traveling to Emmaus if the resurrection day were indeed the seventh-day Sabbath due to the restriction on traveling more than a "Sabbath day's journey". 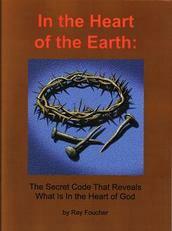 This study examines that question to see if it could fit in with the scenario presented in the book In the Heart of the Earth: The Secret Code that Reveals What is in the Heart of God. The distance would be about 1 km (2/3 mile). Emmaus is commonly identified as one of two villages that are about 5 and 11 km from Jerusalem, a distance greater than a Sabbath day's journey. So how is it possible that these two disciples could have travelled that distance on the Sabbath? The development of tradition does not always take into account correct understanding, reading in context or sometimes even common sense. Thus, all the restrictions were developed and the many (sometimes humorous) exceptions to go with them. The Sabbath was given for man's blessing, not to be a hindrance or inconvenience. The two disciples may have thought it too dangerous to remain in Jerusalem. Their leader had just been crucified as a criminal and the disciples were suspects regarding the missing body. It could be that even earlier He did not want them going off in all directions but, rather, wanted them to stay together for mutual support. This was a good reason to redirect these two disciples back to Jerusalem. We should remember too that "a Sabbath day's journey" was nothing more than a pharasaical tradition. While the Bible does mention it, it is merely used as a reference for a distance. There is no scriptural command limiting the distance one can walk on a Sabbath. Another indication that the walk to Emmaus was on the seventh-day Sabbath comes from a careful comparison of Mark, Luke and John. With the understanding that "the first day of the week" (Luke 24:1 and John 20:1), refers to the seventh-day Sabbath, (as the translation issue is explained in the book In the Heart of the Earth) the phrase "the same day" (Luke 24:13 and John 20:19) must also be referring to the seventh-day Sabbath. 1 Now upon the first day of the week, very early in the morning, they came unto the sepulchre, bringing the spices which they had prepared, and certain others with them. 1 The first day of the week cometh Mary Magdalene early, when it was yet dark, unto the sepulchre, and seeth the stone taken away from the sepulchre. 10 And she went and told them that had been with him, as they mourned and wept. 9 And returned from the sepulchre, and told all these things unto the eleven, and to all the rest. 18 Mary Magdalene came and told the disciples that she had seen the Lord, and that he had spoken these things unto her. 11 And they, when they had heard that he was alive, and had been seen of her, believed not. 11 And their words seemed to them as idle tales, and they believed them not. 14 Afterward he appeared unto the eleven ... 36 And as they thus spake, Jesus himself stood in the midst of them, and saith unto them, Peace be unto you. 19 came Jesus and stood in the midst, and saith unto them, Peace be unto you. 37 But they were terrified and affrighted, and supposed that they had seen a spirit. 38 And he said unto them, Why are ye troubled? and why do thoughts arise in your hearts? 14 ...as they sat at meat, and upbraided them with their unbelief and hardness of heart, because they believed not them which had seen him after he was risen. 41-43 And while they yet believed not for joy, and wondered, he said unto them, Have ye here any meat? And they gave him a piece of a broiled fish, and of an honeycomb. And he took it, and did eat before them. Lu 24:45 Then opened he their understanding, that they might understand the scriptures, 20 ... Then were the disciples glad (must have believed at that point), when they saw the Lord. In the accounts compared above, it is apparent that the assembled disciples did not believe previous to Jesus appearing to them. The accounts of Jesus' appearance laid out above from Mark, Luke and John would all be referring to the same appearing of Jesus to the eleven (there may have been others present). Once they believed, they would not be described in another event as still unbelieving. So we can see that the appearance of Jesus was the same day as the walk to Emmaus which was the same day as the resurrection. This was, with the proper understanding of the original words which have commonly been translated as "the first day of the week," a seventh-day Sabbath. The greatest difficulty in this passage is the two disciples saying that "to day is the third day since these things were done." (Luke 24:21) This is commonly understood to be referring to the third day since Jesus' death and burial. We need to look at this carefully and consider the possible meanings which must be consistent with the rest of the story. A Word Study of "This"
The word "this" is from the Greek word "toutois" (Strong's NT#5125) and is translated as: "these" (7 times), "these things" (3 times) and "this" (2 times). The "this" (or, perhaps more properly, "these" or "these things") is referring to the things referred to in verses 19-20 which include "how the chief priests and our rulers delivered him..." It may also refer to other things they said that weren't here reported in the account of their conversation. There are several passages that refer to the third day and, in many of these cases, a more or less complete list of the events of the three days is given. This is discussed in detail in chapter 2 of the book in the section "The Start of the Three Days and Three Nights." In this narrative, the list is not given but it seems reasonable that the same three days are being referred to and therefore that the three days must start at the same time as the other references. A Word Study of "To Day"
Rather, He was saying "I say to you today - this day on which we are dying - that you will (at an unspecified time in the future) be with me in paradise." The "today" was not referring to when they would be in paradise but to when the words were being spoken. It would be like saying "In spite of how hopeless our present situation looks, I can tell how even now - today - that you will be with me in paradise one day." A Word Study of "Were Done"
Verse 18 uses the same terminology: "things which came to pass" and it says the things happened in "these days." The things that happened in "these days" obviously happened over more than just one day. Similarly, the "things" referred to in verse 21 could have happened over more than one day with the first in the series happening on the first of three consecutive days. For a more detailed study of Luke 24:21 and the question of the meaning of "the third day since" go to this page. This understanding, with the above showing the meaning to be consistent with other uses of the same words in scripture, shows that they could have been referring to events which happened over a span of three days ending with the day they were speaking about. There also must be an internal consistency in all the scriptures that speak on the timing of the resurrection. Be sure to read the entire book before discrediting the whole thing because of this one verse from the account of the disciples speaking to Jesus on the road to Emmaus.